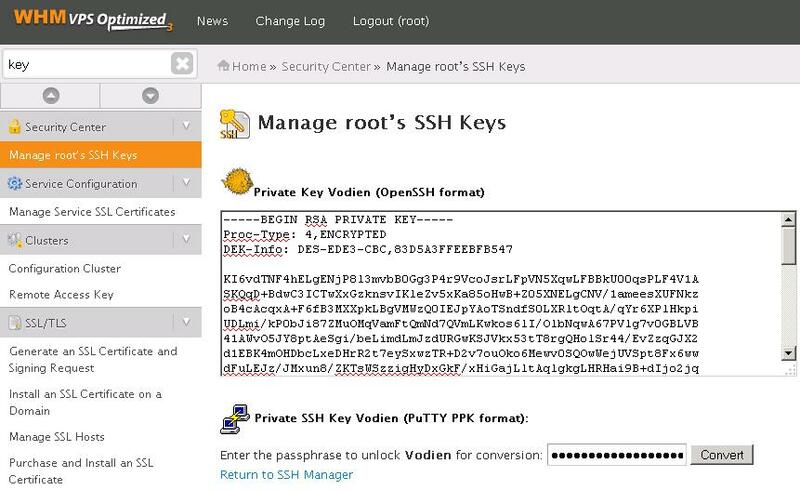 A much safer and secure than the password authentication is to set up the private key for ssh access. 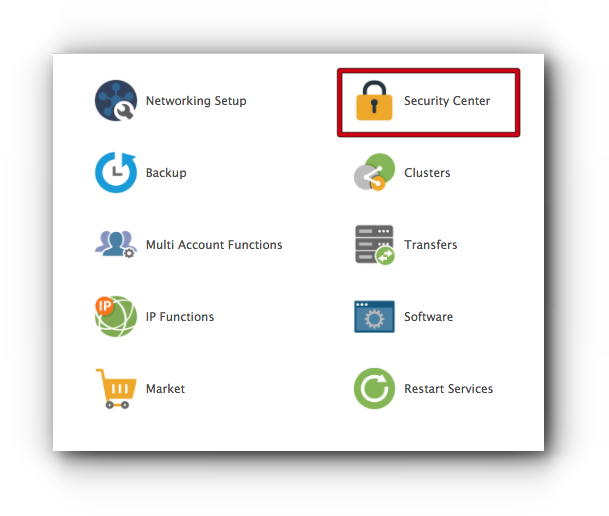 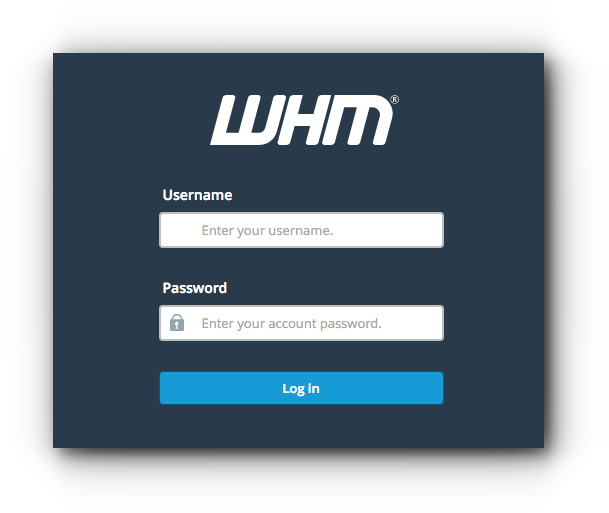 For this, you will require the WHM root access, where you can access it via domain.tld/whm or domain.tld:2086/2087. 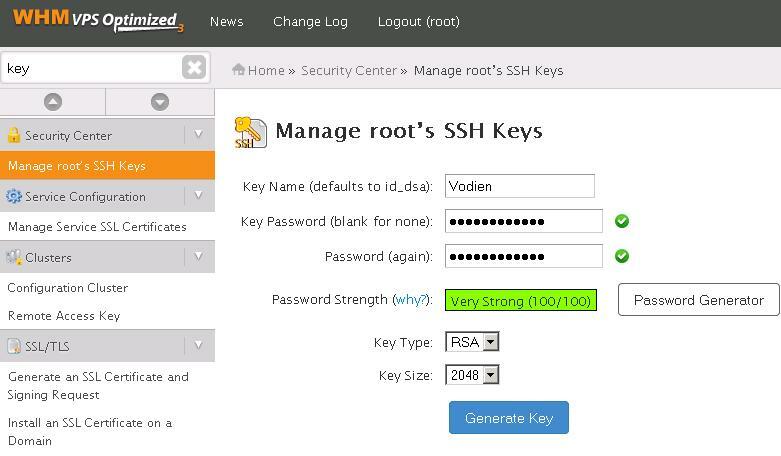 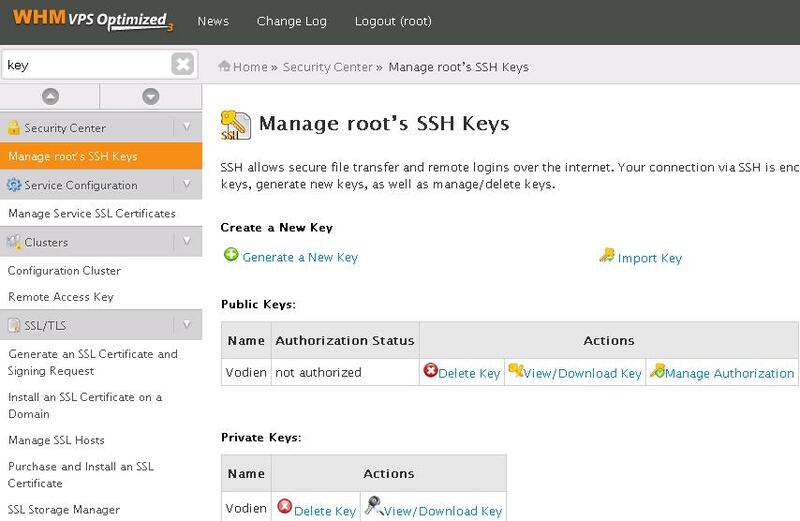 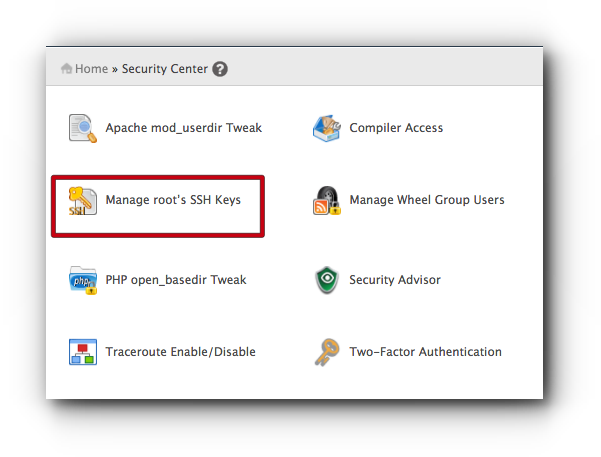 Click Manage root’s SSH Keys. 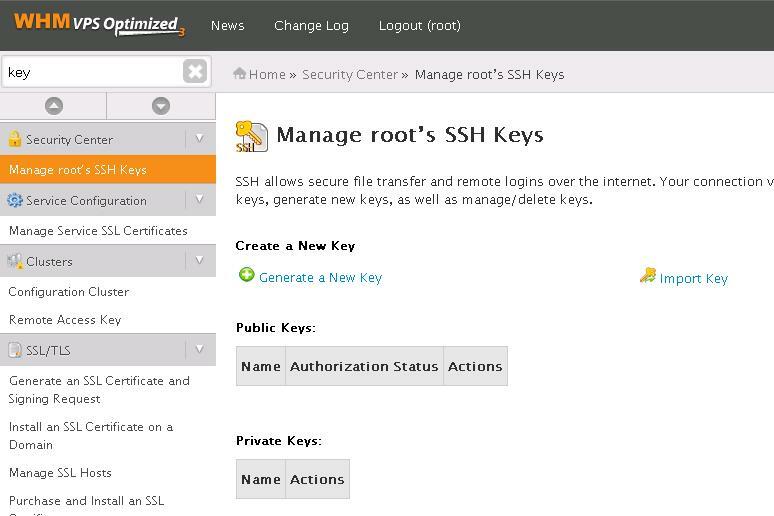 Click on “Authorize” in order to make the public key work.